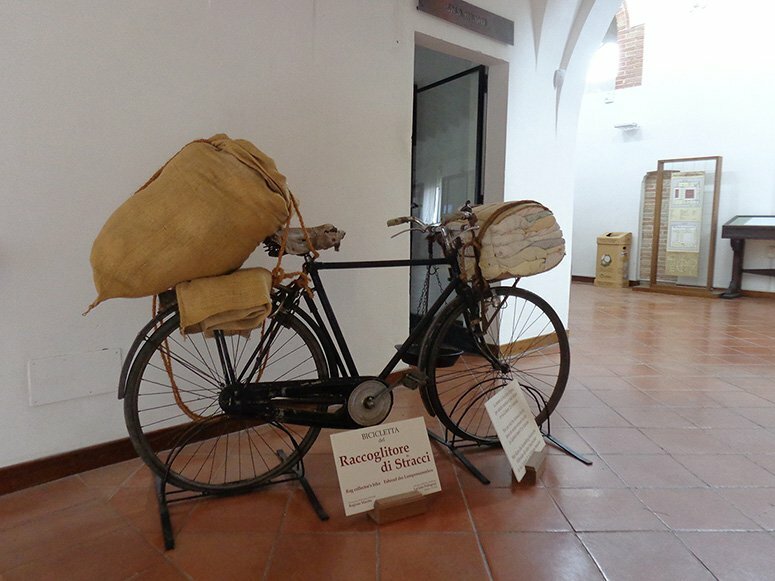 A windy morning in Fabriano’s Paper and Watermark museum with DiscoverMarche had me smitten. 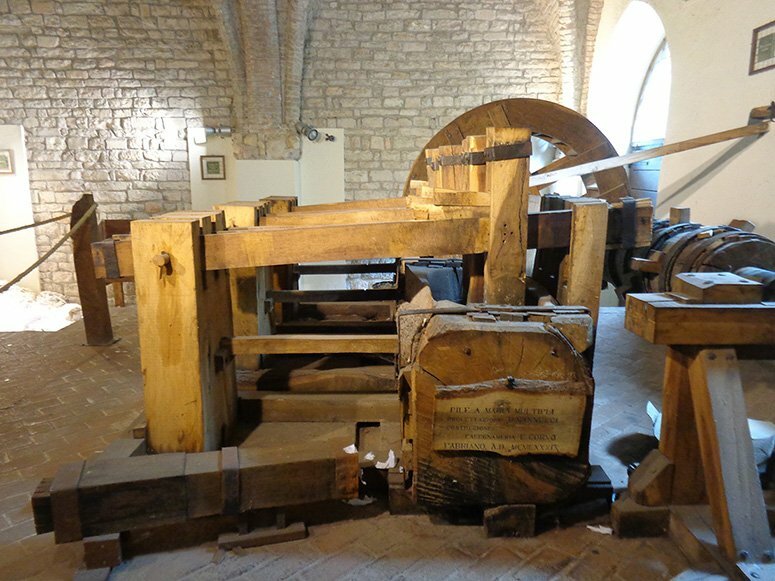 Not many know that the town of Fabriano in the region of Le Marche, Italy has been making paper since the 12th century. Can you imagine how it felt to walk through the doors where this UNESCO creative city has been inspiring companies and individuals alike since centuries?! 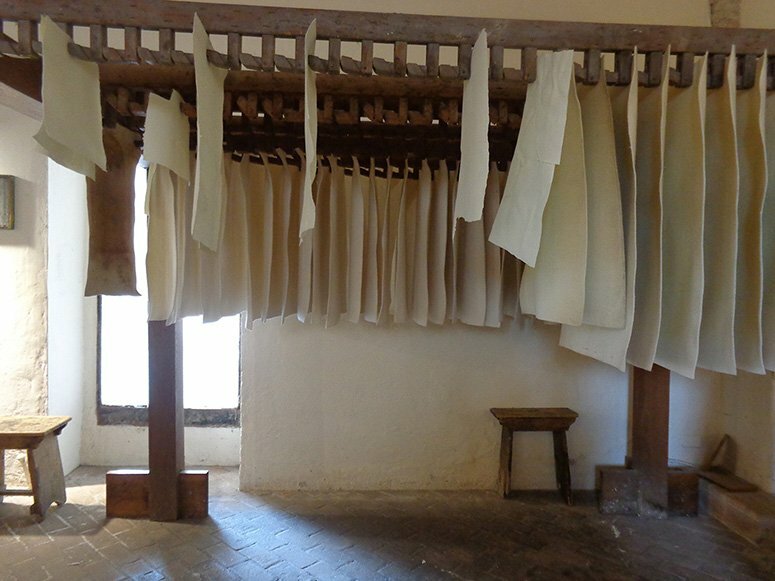 Fabriano’s old techniques to refine and process paper is famous across the world. The paper made in the town goes everywhere you can possibly imagine and my own country gets paper for its currency from here- a fact that I got to know only then. 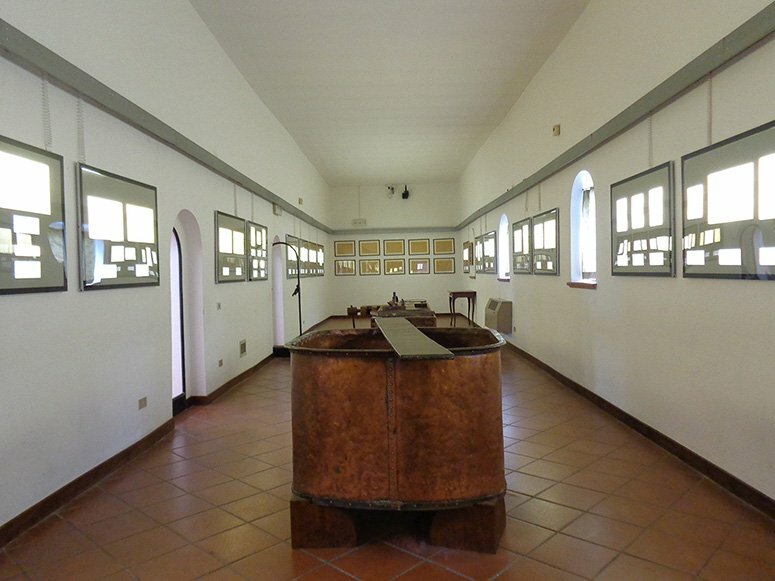 Fabriano’s Paper and Watermark Museum: Benvenuti! Welcome! 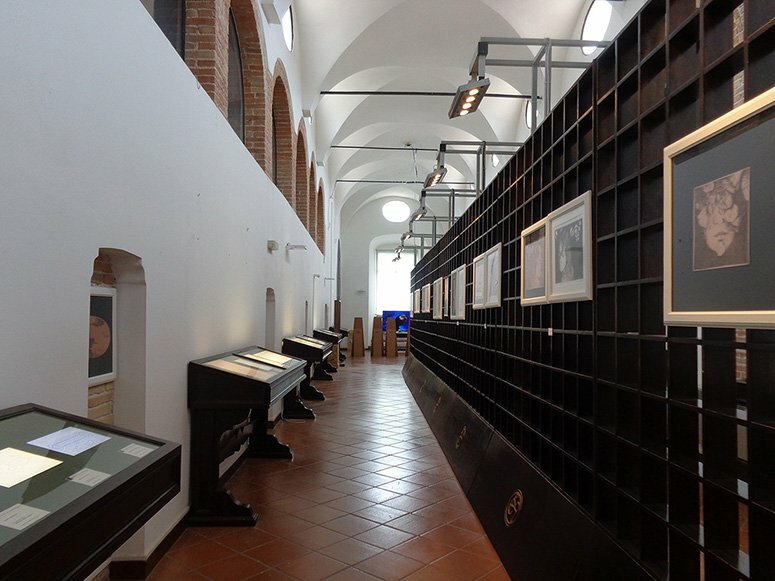 That is why Fabriano’s Paper and Watermark Museum is a hidden gem. 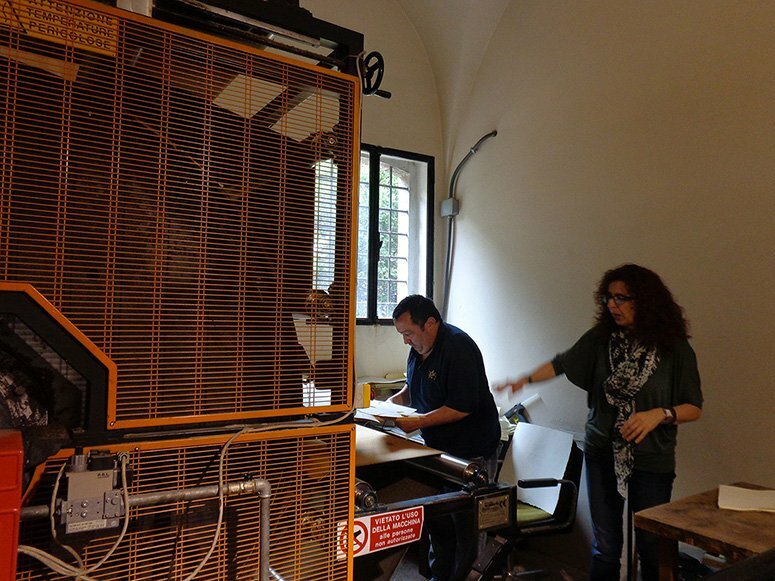 There are guided tours available in Italian and English, a little souvenir shop with inexpensive handmade paper and a demonstration of the finest watermarks in relation to the modern currencies. 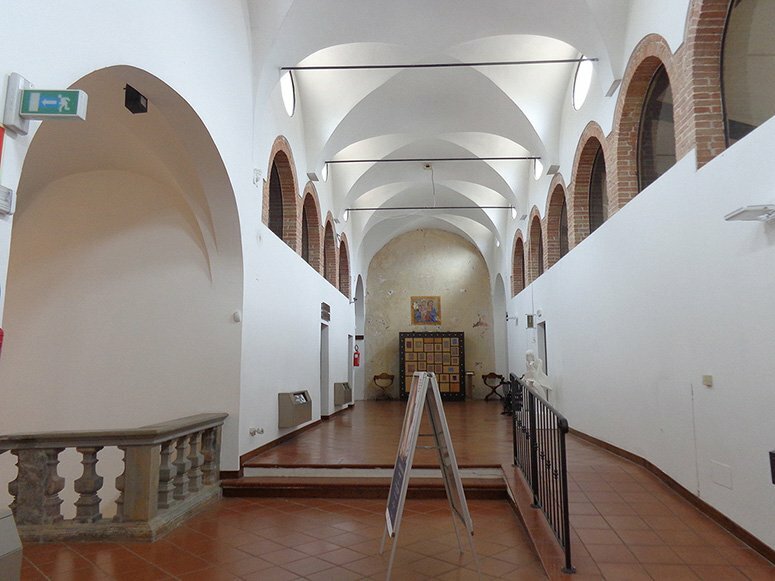 Fabriano’s Paper and Watermark Museum: Have a seat! Our tour guide was very knowledgeable and told us about the story of Fabriano as an ancient city. She was working in the museum since over 2 decades and was very fierce about her work. A fun conversationalist, she was also interested in the Indian culture and hoped to visit Delhi soon. 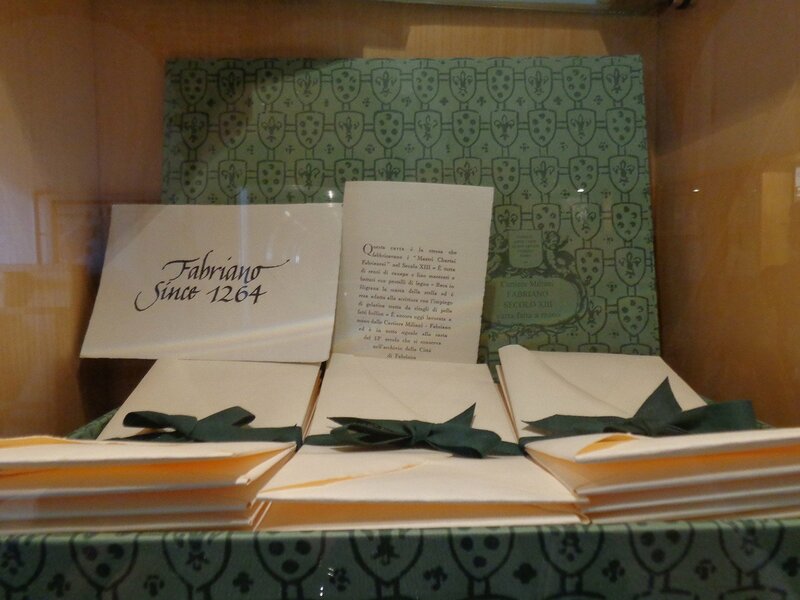 Fabriano’s Paper and Watermark Museum: Does this mean a binder?? 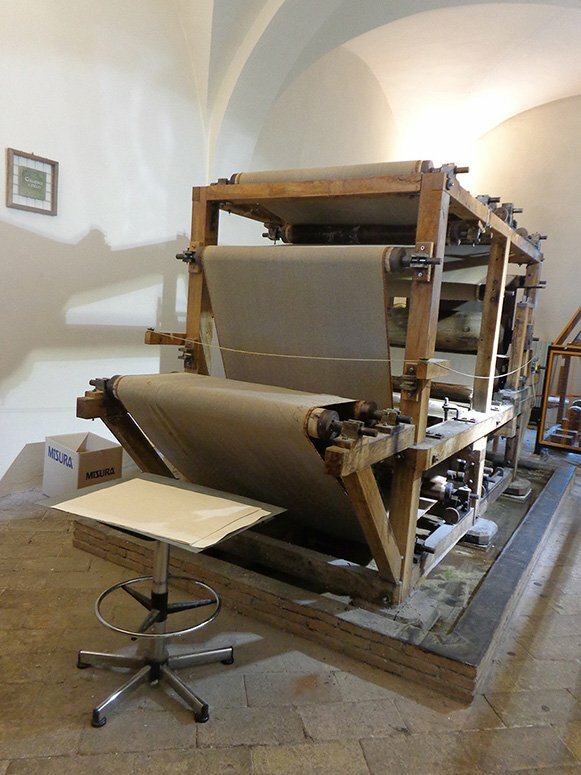 We were shown a live demonstration of the process of paper making with working machinery from the 18th century. She also told us about the hydraulic hammer which was invented in Europe. It fascinated me immensely and I wished I had more time to spend in the museum. 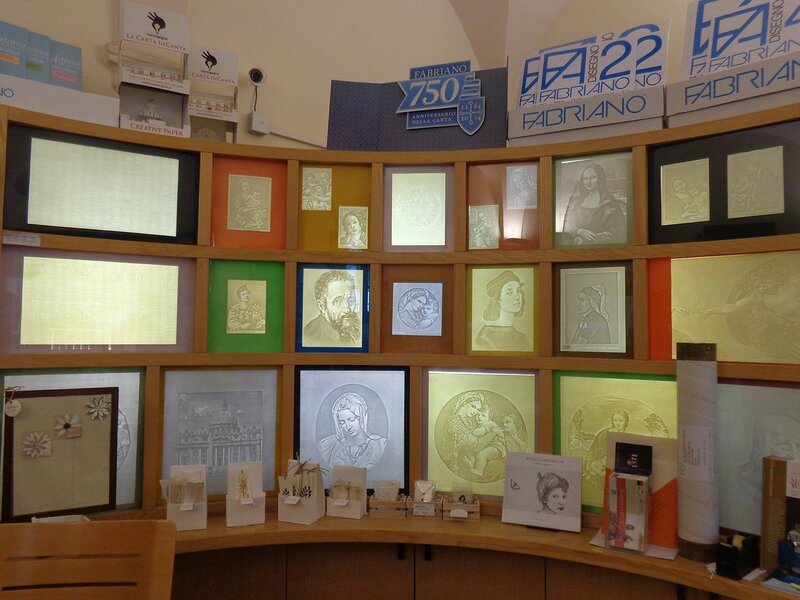 Fabriano’s Paper and Watermark Museum: Watermarks are fascinating! During my visit there was also an ongoing International Festival of Watercolor Paintings with hundreds of paintings to see. There was a children’s group from one of the neighbouring schools that came to see the legacy left behind. All in all, it was a captivating visit that left me intrigued. If given a chance, would you visit this museum?? Booking your tickets in advance is recommended since English guides are not available every day. 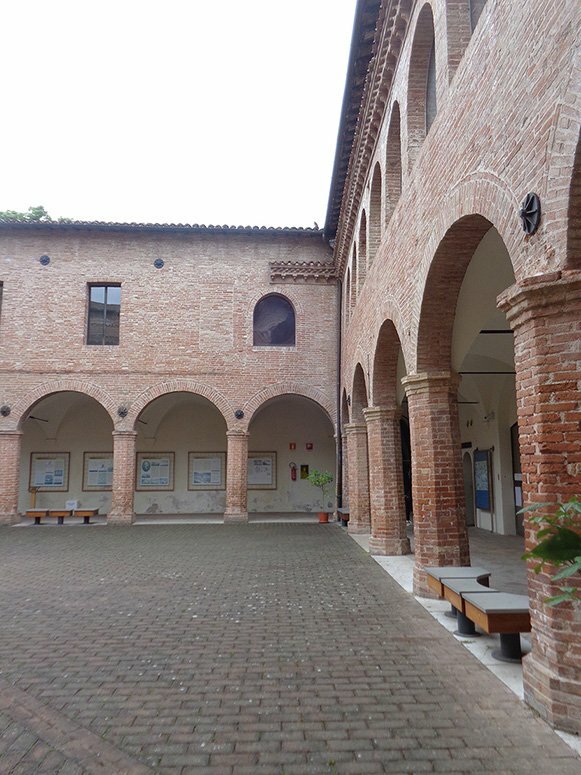 -Fabriano’s train station is a short walk from the centre. If you are traveling from Rome, it takes about 3 hours to reach. Absolutely, I’d love to visit – sounds like a very interesting museum. There’s a Fabriano Paper company with a store in Fiumicino airport that I always stop in. Nice gifts. Great blog. Love visiting such an interesting museum. I love museums like this. A great article and fabulous pictures. Thanks! I visited Fabriano many years ago and walked those same streets in the photo. How wonderful to join you and visit this amazing place once again. We came in from Castelraimondo by train which took us to the heart of the city. I loved taking the train from one town to another. Ci Vidiamo. I did not know that the paper for our currency comes from Italy. That is some news. 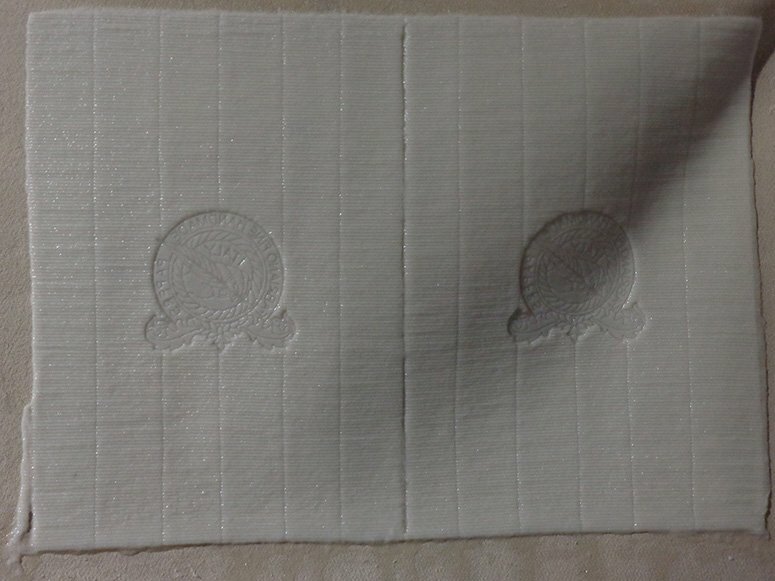 What makes this paper special to be used for currencies? 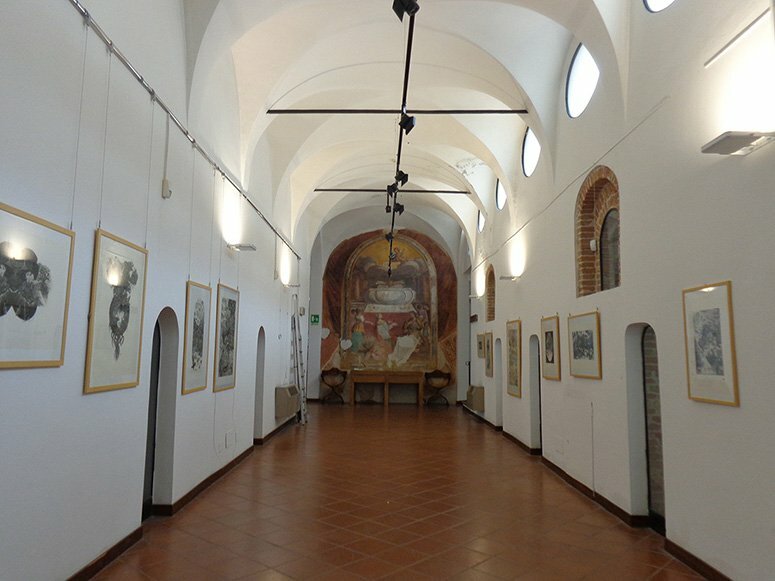 Such niche museums are always hidden gems and they carry the unique history of the place in their folds. Such an enlightening post. I’m an artist, and when I paint in watercolors I always use Fabriano paper. 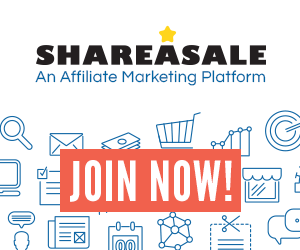 Now it will be even more special after learning the history of the company. Grazie mille! Thanks Pamela 🙂 It must be so cool to use that paper on a daily basis. Co-incidentally, I am reading this on one – year completion of Demonetization! This sounds a good museum. I’ll have to visit one day.